This is a gift that any teacher will be delighted to have on the desk! It's a black wooden box with curved style and hinged lid. 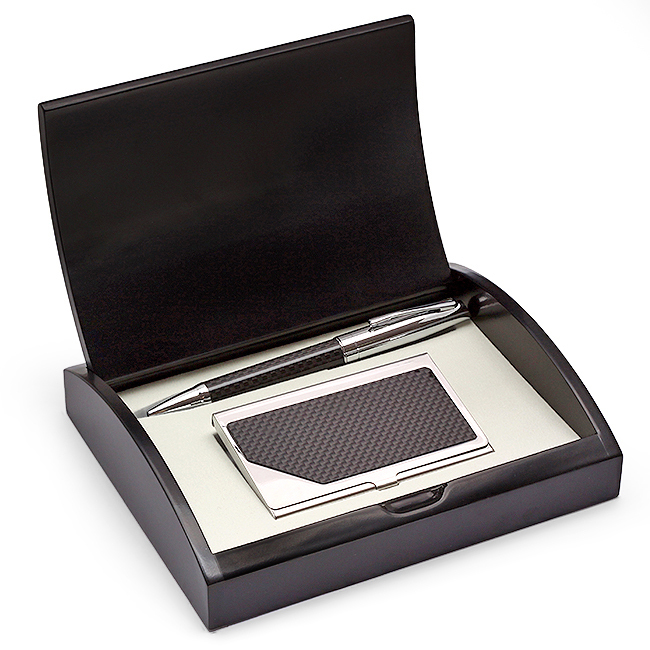 A molded insert inside holds a gleaming silvertone and black carbon fiber ballpoint pen and matching business card case. 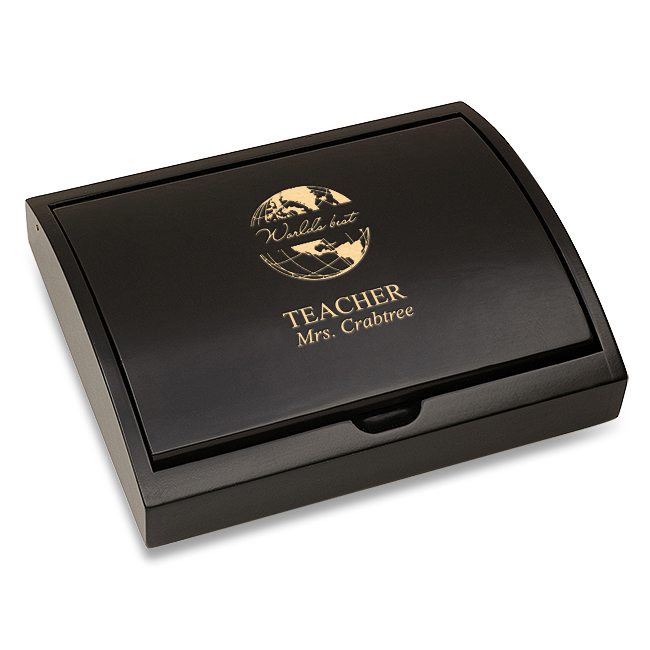 The box cover will be the teacher's favorite, with our laser-engraved World's Best Teacher design, and engraved teacher's full name below, available at no extra charge. This box comes packaged in a handsome gift box.